Challen from Grouper: How the online dating site mixes character with technology. Eligible urbanites from New York to San Francisco light up at the sound of her name. They may not be acquainted personally, but “Challen From Grouper” emails them regularly and texts throughout the night. To the thousands of young singles trying Grouper—which takes a strength-in-numbers approach to online dating—Challen is equal parts kindred spirit, celebrity infatuation, and enigmatic superhuman. Some of them aren’t even sure their digital dream-woman is real. The near cult that has developed is a remarkable demonstration of the complicated interaction between our online and offline worlds. “Are you sending auto texts?” a user named Peter recently inquired. Challen Hodson is the director of membership experience for Grouper, the year-old “social club” that arranges three-on-three meetups at trendy watering holes. A cheerful Southern transplant, Hodson was working in advertising when she signed up last summer for one of the earliest Groupers. It wasn’t love at first sight, but the sextet stayed out together until the wee hours of a Wednesday night. Soon after, she left her job and joined Grouper full-time to manage the burgeoning community. At first, that meant calling members to confirm dates and times. But texting sat better with the clientele, and by forgoing sleep and adopting third-party solutions like Twilio and Olark, the strategy scaled up. But Hodson wasn’t just sending date reminders to the Grouper crowd. 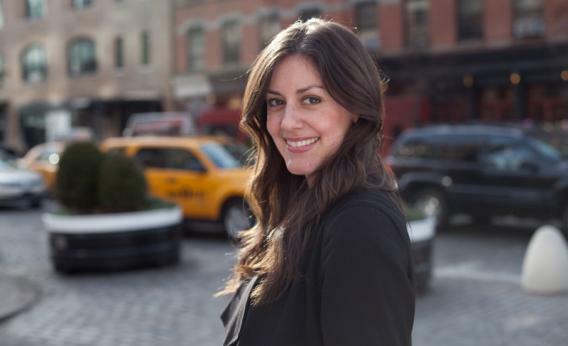 She also began running a one-woman concierge service for America’s unattached. People contacted her directly with questions like, What bar should we head to next? How long do I wait to text her? Is he into me? One minute dispensing advice to a lovelorn single in Washington, and the next giving out directions in the Lower East Side, Hodson became as much Siri as Yenta. Grouper’s Challen—the character, not the person, though the two often collide—was a strategic move on the part of company founder Michael Waxman. “What I’m really fascinated by is this interesting middle ground that isn’t algorithm and isn’t crowdsourced—it’s this augmented human trend,” he says. Challen is a way to go high-tech without losing the personal touch, rather like Fancy Hands, a new cloud-based suite of personal assistants, or the chatty postcards sent to members of the Dollar Shave Club, a subscription-based razor company that entered the scene with a wildly popular viral video. In an age of personal branding, where stature is tabulated in Klout score and retweets, the augmented human stands to gain. Even putting in 100-hour workweeks, Hodson can only do so much for so many, but “the idea of Challen”—as Waxman says—can be all things to everyone at once. Of course, that subtlety can be lost on Grouper’s clients, many of whom feel like they’ve made a true friend (or more). It’s not unusual for a bouquet of flowers to arrive in the office, or for a Grouper customer to turn the tables and ask Challen out. Texters try to unmask her as a chatterbot, place bets over Hodson’s gender, and speculate over her nature like they’re scrutinizing an inkblot. “You seem like a girl who really grabs life by the horns. But also you might be the girl next door, who still uses noses on her smiley faces,” one user wrote to Hodson the night before we spoke. When users send in basic arithmetic problems to test her authenticity, Challen texts back with a pat answer: “Your question suggests that I am not human,” she deadpans, HAL-style.